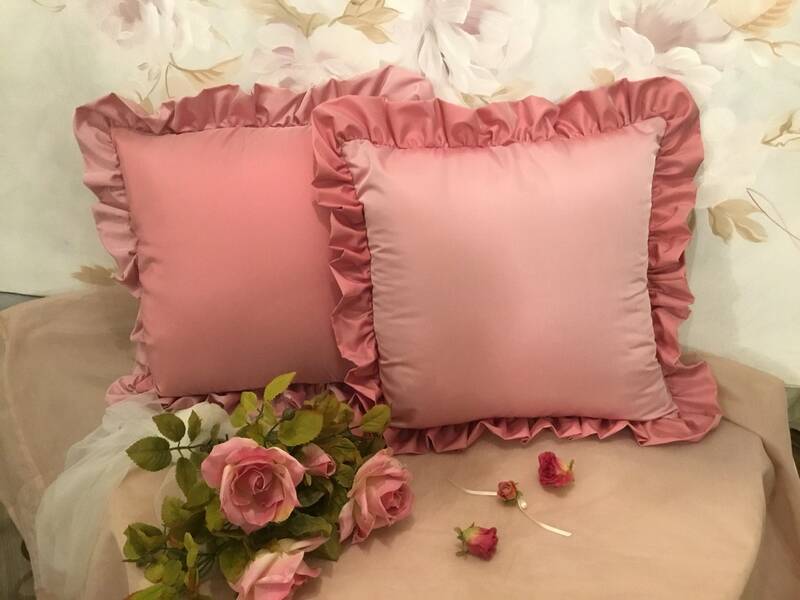 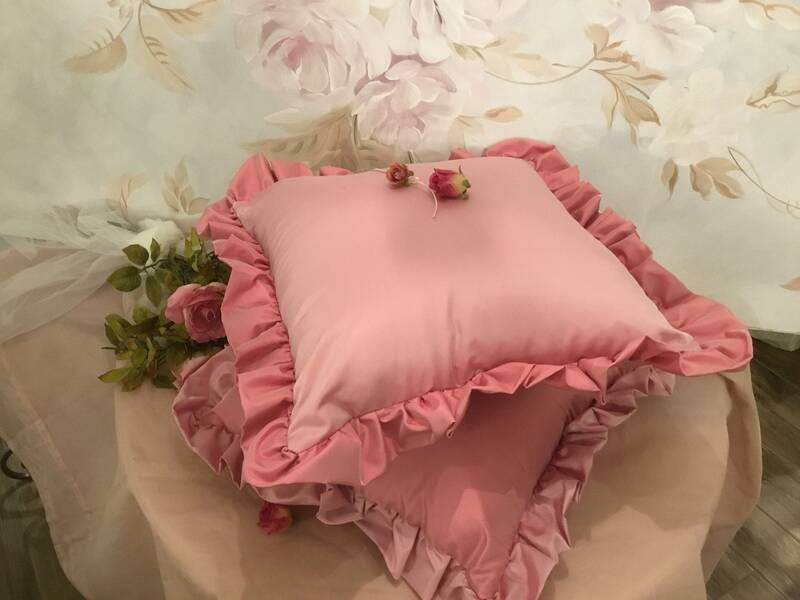 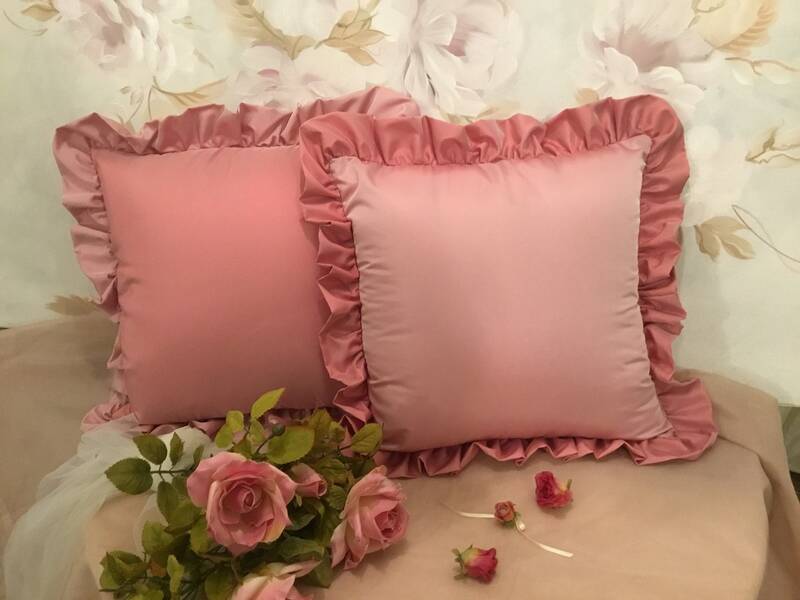 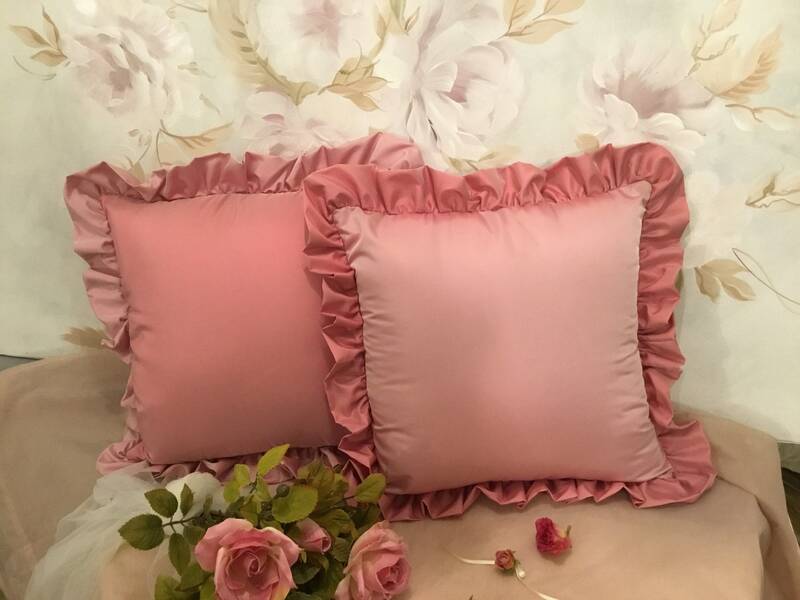 Elegant set of 2 cushions in pink taffeta powder with a high-toned invoice. 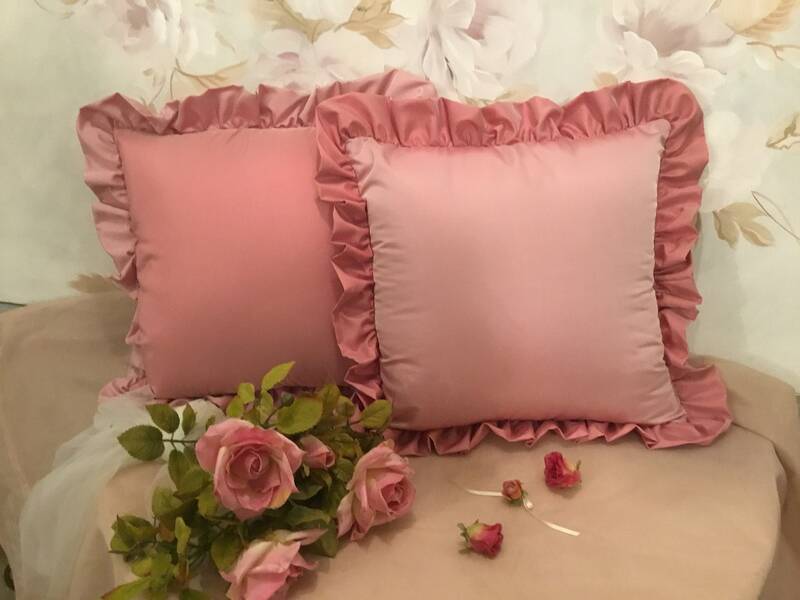 Well suited in all the environments of your home, in the bedroom, in the living room to give a romantic touch. 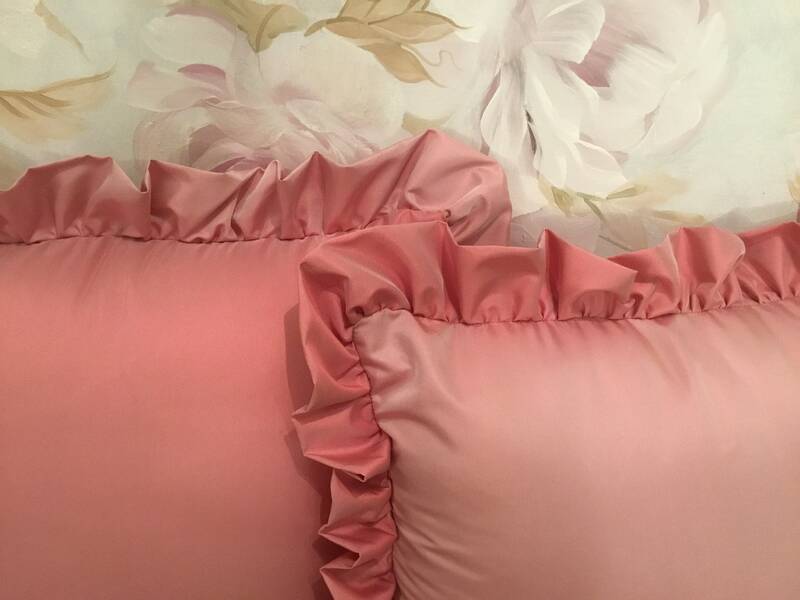 It only sells lining without padding to make the transport lighter. 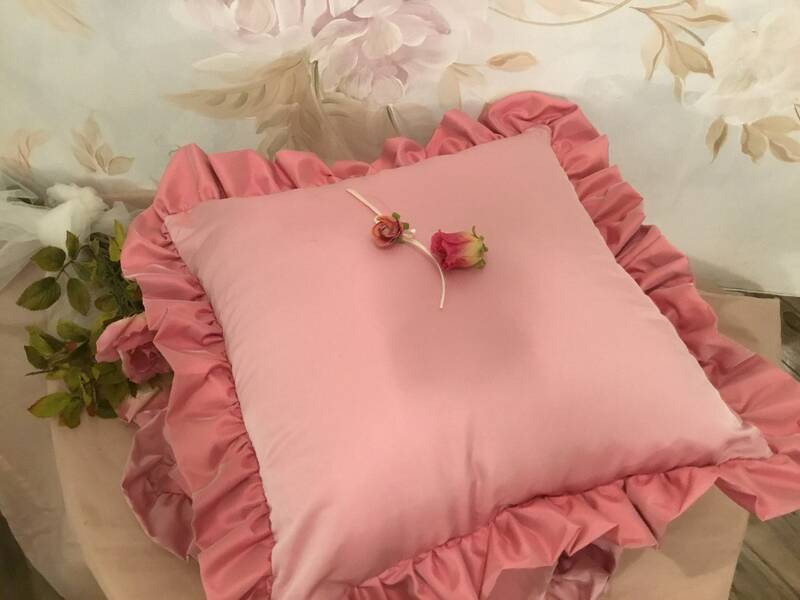 If you wish complete do not hesitate to contact me.